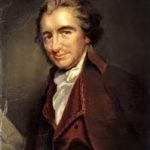 Thirteen children were born to Julia and Benjamin Rush and nine reached adulthood: John, Anne, Richard, Mary, James, Benjamin, Julia, Samuel, and William. In June 1776, Rush was appointed to represent Philadelphia at the Continental Congress, and took his seat on July 22, 1776. He was not there on July 4 when independence was declared, but he proudly signed the Declaration of Independence with the other delegates on August 2, 1776. Rush had many long lunches with Jefferson, Adams, and Franklin and began a lifelong friendship with John and Abigail Adams. In April 1777, Rush was appointed by Congress to the post of Surgeon General of the Middle Department of the Continental Army, which included the hospitals between the Hudson and Potomac Rivers. Rush immediately went to work, and authored Directions for Preserving the Health of Soldiers, which the War Department ordered printed as a pamphlet. This code of military hygiene was to serve our armies as late as the Civil War. Among many recommendations were flannel shirts next to the skin as a protection from intermittent fever; short hair cuts with frequent combing to combat lice; a largely vegetarian diet; water with vinegar added as a substitute for fortified wines; cleanliness of person, linen, and bedding; encampments were to be kept free from human and animal excrement. Dr. Rush also found that in the area under his command, farmers would take in wounded soldiers, if they could receive the soldier’s meat ration and the army would buy their dairy products. Julia Stockton Rush was, along with Sarah Franklin Bache and other prominent women, a member of the Ladies Association, the leading fund raiser during the Revolutionary War. Esther De Berdt Reed established the organization in Philadelphia after General George Washington relayed information to Congress about the shortage of supplies and rations among the Continental soldiers. The women of Philadelphia sewed 2,200 linen shirts and personalized each one with the name of the woman who made it. As the war continued and Army forces under General Washington suffered a series of defeats, Rush secretly campaigned for removal of Washington as commander of the Continental Army, as part of the secretive Conway Cabal. He went so far as to write a supposedly anonymous letter to then Governor Patrick Henry of Virginia. Rush was caught in the act and confronted by Washington, at which point he bowed out of any activities related to the war. In 1783, Rush was appointed to the staff of Pennsylvania Hospital, where he remained a member until his death. A pioneer in the study and treatment of mental illness, Rush insisted that the insane had a right to be treated with respect. He protested the inhuman treatment of the insane at Pennsylvania Hospital. When he received an inadequate response to his complaints from the hospital’s Board of Managers, Rush took his case to the public at large. In 1792, he was successful in getting state funding for a ward for the insane. Rush’s son John became a patient in the new psychiatric wing that his father had worked to establish; John Rush would remain there for the rest of his life. The year before he died, Rush published Medical Inquiries and Observations upon the Diseases of the Mind, the first textbook on psychiatry in America. In 1789, Rush wrote articles in Philadelphia newspapers in favor of adopting the Federal Constitution, and was then elected to the Pennsylvania convention that ratified the constitution. He was also appointed treasurer of the United States Mint under President John Adams, where he served from 1797 to 1813. He helped found Dickinson College and served as a trustee. Dr. Rush became Professor of Medical Theory and Clinical Practice at the University of Pennsylvania in 1791, though the quality of his medicine was quite primitive even for the time: he advocated bleeding. Even when the practice began to decline, he refused to reconsider the dangers of it. When Rush began teaching at the University he had a class of twenty students; when he delivered his last lectures in l813, he had more than four hundred students. Dr. Rush was beloved in his city, where he set an example for other doctors in caring for the poor and became world famous because of his dedication to duty during Philadelphia’s two great yellow fever epidemics that killed nearly 8,000. He was honored for his contributions to medical science by medals and presents from the King of Prussia, Queen of Italy, and Czar of Russia. Rush was also a social activist, a prominent advocate for the abolition of slavery, an advocate for scientific education for the masses, including women, and for public medical clinics to treat the poor. He called for the restriction of alcohol and tobacco use, proposed the study of veterinary medicine, and wrote the first American textbook on psychiatry. While serving the people of Philadelphia during a typhus epidemic, Dr. Benjamin Rush suffered a severe attack of typhus. 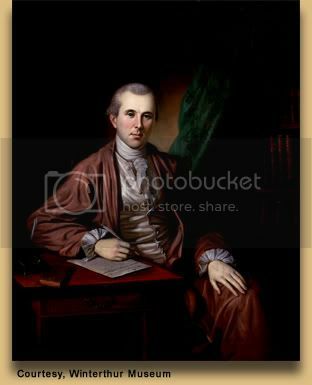 Dr. Benjamin Rush died suddenly on April 19, 1813, after a brief illness. He was buried in the graveyard of Christ’s Church in Philadelphia, the same church whose pastor had christened him 67 years earlier. Another of our friends of seventy-six is gone, my dear Sir, another of the co-signers of the Independence of our country. And a better man than Rush could not have left us, more benevolent, more learned, of finer genius, or more honest. Rush’s biographies and autobiography portray him as a strong-willed, opinionated man, but with kindly and philanthropic ways—a man of integrity who was devoted to his family. Julia Stockton Rush died at their country home, Sydenham, on July 7, 1848, at the age of 89, and was buried with her husband in Christ Church Burial Ground in Philadelphia. Let me here bear testimony to the worth of this excellent woman. She fulfilled every duty as a wife, mother, and mistress with fidelity and integrity. To me she was always a sincere and honest friend; had I yielded to her advice upon many occasions, I should have known less distress from various causes in my journey through life… May God reward and bless her with an easy and peaceful old age if she should survive me, and after death confer upon her immediate and eternal happiness. 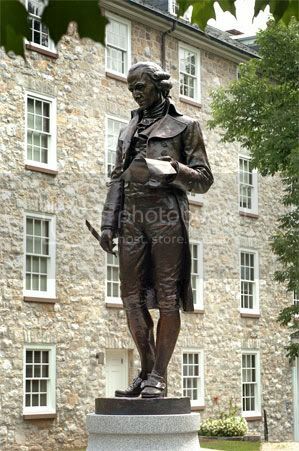 Benjamin Rush, a prominent Philadelphia physician, prepared the charter for Dickinson College in 1783. A grammar school founded in Carlisle in 1773 served as the foundation of the new college. In many ways, Benjamin Rush was a man before his time. He was an outspoken opponent of slavery, a vocal proponent of equal education for women, a supporter of the rights of the mentally challenged, and a generous provider of health care to the indigent in Philadelphia.